The ancient Norse were one of the few cultures to create a mythology that did not necessarily promise eternal life of any kind for the souls of the deceased. The world was believed to be heading towards a final destruction called Ragnarok when the gods and their enemies alike would perish in a cosmic battle, after which a new world would rise out of the cosmic ocean with new gods and a new human race. Warriors fallen in battle were believed to prepare for this battle while in Valhalla. The denizens of Valhalla who were destined to join in the last battle were known as the Einherjar. In ancient Norse belief, those who died in battle and those who died of disease and old age had different destinations in the afterlife. Those who died of disease or old age would go to the realm of Hel ruled by a giantess of the same name. Those who died in battle, however, had a different destination. 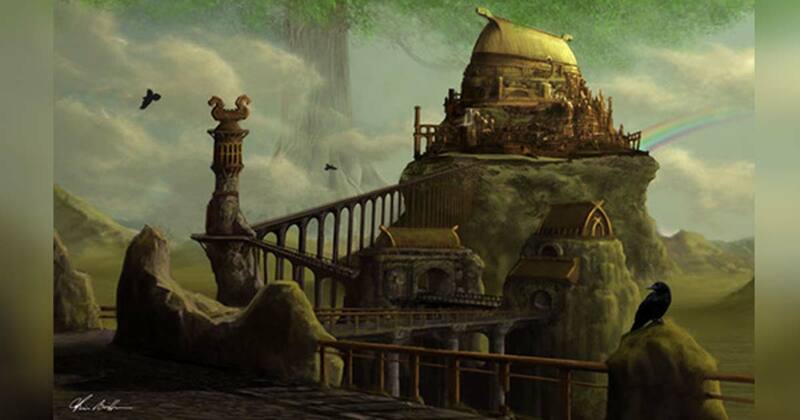 They would go to Asgard, the realm of the Aesir and the Vanir, the two main families of Norse gods. When these fallen warriors reached Asgard, half of them would follow the goddess Freyja to the fields of Folkvangr and the other half would go with Odin to Valhalla. In Valhalla, the warriors would have great feasts where they would eat the flesh of a giant boar named Sæhrímnir that was continuously being slaughtered, eaten, and brought back to life again just to be slaughtered for the next feast. They also drank mead from the utters of a legendary goat called Heidrun. They would be attended to by Valkyries, supernatural shield maidens . According to some Norse traditions, the Valkyries became the wives of the fallen warriors while in Valhalla. The pre-Christian Norse are known to have had a very fatalistic worldview. The pagan Norse believed that the fate of every man and every god was usually fixed and unchangeable. The Norse personified fate in the Norns, female figures who were responsible for determining the fate of all mankind and the gods. The ancient Norse did not believe that they could escape the fate allotted to them and tended to simply accept what they believed had been decided for them by the Norns. This is one of the possible reasons that so many young men from Scandinavia were willing to embark on voyages and raids from Russia to Newfoundland during the Viking Age. If their fate was to die, it was better to die gloriously in battle on a dangerous expedition than from old age or disease at home. In the same way, the warriors in Valhalla were fated to fight and perish in Ragnarok. Valhalla was only a temporary dwelling place to prepare them for the great battle. 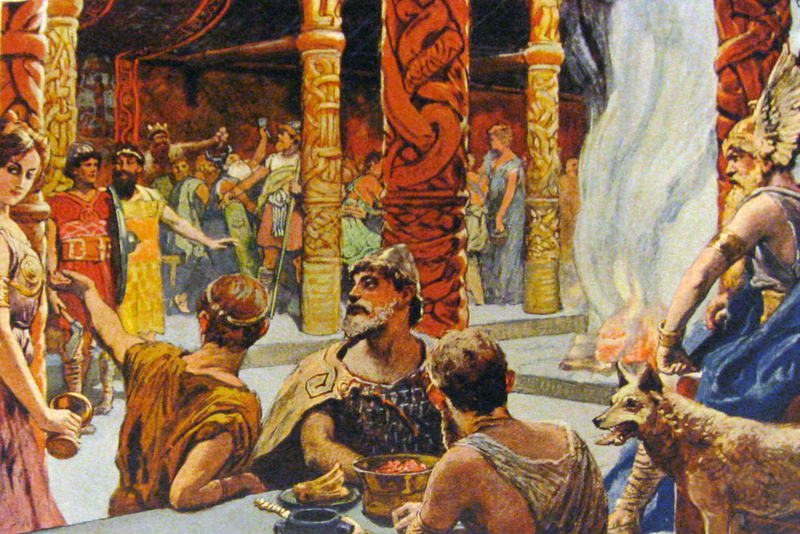 Valhalla and the fate of the Einherjar illustrates both how Norse mythology is similar and how it is different from other mythologies. The ancient Greeks, for example, had a similar concept to Valhalla. One part of the underworld, the plains of Elysium, was a realm where fallen heroes would go to live in eternal bliss slaughtering their enemies. The rest of the souls of the deceased would go to other parts of the underworld. For example, those who had lived unremarkable lives that were not especially good or bad would go to the plains of Asphodel where they would carry out an existence not too different from how they had lived. The Norse view of the afterlife is different in that the afterlife was not necessarily eternal, at least for many humans. Unlike Elysium, the realm of Valhalla would eventually be destroyed with the rest of the universe and the Einherjar and Valkyries would mostly perish in Ragnarok. The world began in chaos with a realm of ice and fire separated by an abyss and would, one day, return to a realm of chaos after Ragnarok. After the battle, the surviving gods would make a new world that would be better than this world, but there would be no resurrection of the dead from the previous world. The ones populating the new world would be the few gods who survived from the old world and the gods and men born in the new world. For the most part, the old humanity and the old gods would die with the old world. Some cultures will lack a trait common to most cultures. One example would be the Piraha of the Amazon rainforest who do not appear to have any beliefs about a supreme deity even though most cultures believe in a supreme being, spirit or animating force of some kind. In the same way, the ancient Norse may have lacked belief in a permanent afterlife which was otherwise common in surrounding cultures. This illustrates a principle in anthropology. Although certain elements appear to be universal across cultures, there are always exceptions. Smyser, H. M. "The Road to Hel: A Study of the Conception of the Dead in Old Norse Literature." (1944): 255-259. Barrett, James H. "What caused the Viking age?" Antiquity 82.317 (2008): 671-685. Everett, Daniel Leonard. Don't sleep, there are snakes: Life and language in the Amazonian jungle .